Allison (Allie) Zangari is a Licensed Mental Health Counselor and a Licensed Marriage and Family Therapist. Allison has years of experience with families and couples that were impacted by eating disorders and/or substance use disorders by one or multiple family members. She also has experience working with families and couples impacted by BPD. She works with the entire couple or family system so that healing and growth can occur. 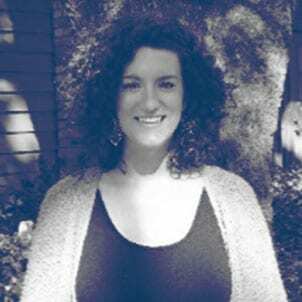 In addition to couples and families, Allie has worked with adolescents and college students who are struggling with anxiety, depression, self-worth, substance abuse, eating disorders, and struggles coping with everyday life. Allison utilizes Emotionally Focused Therapy, attachment theory, Dialectal Behavior Therapy, Cognitive Behavioral Therapy, Interpersonal strategies, Narrative therapy, and experiential therapy techniques. In a non-blaming way, Allie assist partners and family members to interact differently with one another and to re-build trust and positive feelings. She addresses the entire family or couple as the “client” and therefore the relationship(s) is the primary area of focus, not just one person. You will look at new ways to communicate effectively and resolve conflicts. Often therapy focuses on building or re-establishing satisfying connections between members. Allie works with children ages 12 and up, or in the case of family therapy, children ages 7 and up, as well as adults, couples, and families with adult children. I’ve had issues with alcohol, depression, and anxiety for years. I finally decided to seek counseling and it has made such a difference in my life. I’m starting to rebuild my life and relationships. It’s not easy but my sessions with Allie really help. My husband and I were not in a good place. We had lots of trust issues, were unhappy in our marriage and seriously thinking of separating. I read about Emotionally Focused Therapy (and even tried to read a book and do it on our own which didn’t work out so well) so I searched online and found Allie. With her help, my husband and I are in a much better place now, communicating more, and we’re hopeful about saving our marriage.